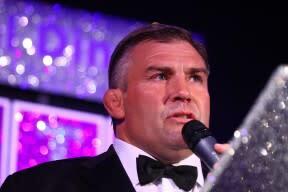 Tree of Hope is thrilled to announce that England and British Lions rugby legend Jason Leonard will be hosting his Annual Dinner this year to support Tree of Hope. The event’s theme for 2014 is “Play Your Cards Right” on Wednesday 17th September at The Ballroom in Grosvenor House, A JW Marriott Hotel in London W1 and features rugby stars past and present as contestants in the ultimate cards challenge. The event will be hosted by retired England Lock Martin Bayfield.